What do you get a Masters Champion that he doesn’t already have? If you’re 2012 Masters Champion and four-time PGA Tour winner Bubba Watson, you get a partnership with European luxury golf and leisure car manufacturer Garia. Watson and the company recently announced their agreement as part of The Garia Mansory Accessory Program, which allows each owner to fully personalize their golf car to their specific taste. Garia and the long-hitting Watson would seem to be a good match as both take a somewhat unconventional approach to attaining their desired results. Bubba Watson uses an unorthodox golf swing to generate tremendous club head speed and unmatched distance. Garia completely redefined the traditional golf cart experience by launching the first fully customizable luxury golf car. Available luxury features on a Garia golf car include a built-in refrigerator, extra comfortable sport seat and 12” alloy wheels. The Garia is available in various models, including street legal and 4-seater all of which has earned the right to be called golf car as opposed to golf cart. “I love it. It’s amazing – I might drive this more than my car” said Watson, who upgraded his previous golf cart to a customized Garia at his home in Isleworth, Florida. “Garia is all about the ultimate luxury golf car. It’s a unique construction from the ground up using only the best materials that allows for complete customization. We are very proud to have been chosen by a renowned PGA professional such as Bubba Watson and we feel it’s an acknowledgement of the efforts put into making Garia the best personal golf car available” says Anders Lynge, designer of the Garia. Among the longest drivers on the PGA Tour, Bubba Watson averages over 315 yards off the tee and can hit a ball over 350 yards with a ball speed up to 194 mph. Watson turned professional in 2003 and joined the Nationwide Tour where he played until 2005. He won the 2012 Masters Tournament after defeating Louis Oosthuizen on the second sudden death playoff hole. 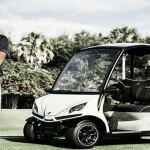 The Garia Mansory Accessory Program allowed Watson to customize his car with parts such carbon fiber front body, side panels, steering wheel and unique custom seats with “Bubbagolf” embroidered onto. All custom parts are handmade by the German tuning company Mansory – famous for modifying Ferrari, Bugatti, Rolls Royce and many other high end cars for wealthy clients. The Garia Mansory Accessory Program is unique in the golf cart segment and allows each owner to fully personalize the car to their specific taste. Bubba Watson is a good example of this with his unique car in a combination of shiny cream and matte coated carbon fiber parts with matching black and cream seat, dashboard and headliner. Become a part of history by participating in the third annual “World’s Largest Golf Outing” to benefit Wounded Warrior Project® on Monday, August 12 at more than 110 golf courses around the country. The event is being conducted by Billy Casper Golf, which owns and operates more than 140 golf courses, country clubs and resorts. The Wounded Warrior Project® is a national organization that helps raise awareness and enlists the public’s aid for the needs of injured service members. 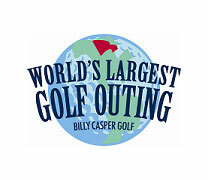 The World’s Largest Golf Outing will take place simultaneously at more than 110 Bill Casper Golf courses in 28 states and is open to golfers of all abilities and does not require a USGA handicap. Golfer check-in is at 11:30 a.m. (local time) with a shotgun start at 1 p.m. at most courses. Entry fees vary by location and include a $5 donation to Wounded Warrior Project®, round of golf, cart rental, range balls, lunch, awards reception, on-course contests and prizes. 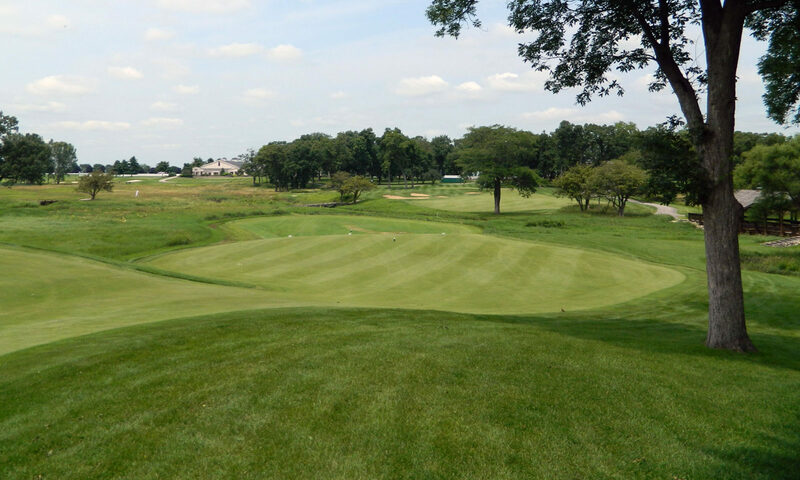 Part of the event proceeds and all donations from non-players benefit the Wounded Warrior Project®, the national, nonpartisan organization that honors and empowers Wounded Warriors, some of whom will play in the World’s Largest Golf Outing. Teams are encouraged to raise additional funds to support this worthy cause. Last year, Bill Casper Golf hosted more than 7,800 golfers at 100 of its golf courses in 24 states during the second annual “World’s Largest Golf Outing,” raising more than $400,000 for WWP. Launched in 2011, the 2012 event saw player registration and fundraising grew by 250% and 700%, respectively. For more information about participating courses and to register visit the World’s Largest Golf Outing website. Of the many beneficial aspects of golf, none may be more important than the health benefits of playing and walking a golf course. According to a research study from the Rose Centre in Denver, Colorado, golfers burn around 720 calories when walking with their golf bag over nine holes. They burn approximately 600 calories when using a caddie and 400 calories when riding in a golf cart over nine holes. The study showed golfers’ burn almost twice as many calories when they walk as oppose to riding in a cart and play more consistent, resulting in shooting lower scores than those riding in a cart. It was also found that walking provides a better overall experience, allowing golfers to interact with their playing partners more and enjoy the natural beauty of the course from tee to green. To help encourage more golfers to get the full physical benefit of the great game of golf, The Bag Boy Company, a leader in golf push cart development and design, is launching a national “Walk The Course Day” that will take place on Saturday, June 8. Bag Boy is encouraging golfers who play golf on June 8 to walk the course and enjoy the health benefits’ walking provides. Bag Boy and each participating golf course will donate $1 to the local First Tee Chapter for every golfer that walks and uses a push cart. Golfers who participate in the “Walk The Course Day” on June 8 will be entered to win a new TriSwivel push cart and accessory pack. The TriSwivel is the latest technology in push carts featuring a 360 degree front wheel giving golfers effortless maneuverability. To find the list of participating golf courses, visit bagboy.com. Bag Boy designs, manufactures and distributes a full line of innovative golf bags, push carts, travel covers and accessories designed for a golfer’s on-course convenience and comfort. 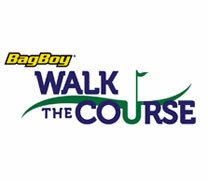 For information on Walk The Course Day, visit the Bag Boy website. Since golf is a sport with virtually no age limits, it’s one of the best ways for generations of families to share time together. To help promote bringing families together on the fairways, Marriot Golf has announced the 6th Annual International Family Golf Festival program. This year-long series of one-day family golf events will take place at 32 Marriott Golf-managed destinations around the world. The program will begin on Mothers’s Day, May 12 at La Iguana Golf Club in Costa Rica. Another Marriott property, Camelback Golf Club in Scottsdale, Arizona, will be the first US course to host an event on May 19. The Marriott International Family Golf Festival is open to golfers of all ages and skill levels, creating a welcoming environment where parents and children can learn and play the game of golf together. 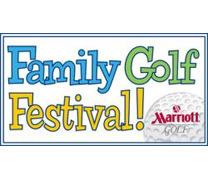 Families are invited to Marriott Golf properties for a fun-filled afternoon of free golf instruction, clinics, exciting activities, interactive golf games, family golf programs and chances to win a variety of prizes. In addition, after 3 p.m., families and children can play golf for free as part of Marriott Golf’s “Kids Golf-4-Free”, which launched in 2006. This first-of-its-kind program enables kids up to 15 years old to golf for free when accompanied by a full paying adult after 3 p.m. program and has allowed an estimated 10,000 parents and children to play golf together annually. Marriott Golf manages 58 golf courses at 43 locations in 12 countries, offering more than 1,000 holes of championship golf. Marriott has been managing golf operations since 1970 and is one of the world’s premier golf operators. For more information, visit www.marriottgolf.com. According to a recent Golf.com survey, the average American golfer spends nearly $3,000 annually on the game of golf. Although equipment and greens fees make up the majority, a portion of this investment typically goes towards golf lessons and game improvement. Playing a big role in the golf improvement category is GolfTEC, a global leader in golf improvement that claims to give more than 25% of all private golf lessons in North America annually. The company has 600 GolfTEC Certified Personal Coaches at 170 centers worldwide, including 68 within Golfsmith stores. Nearly 2% of all golf professionals work for GolfTEC. GolfTEC recently celebrated “Four Millionth Lesson Day” in honor of the company passing the four-million mark in golf lessons given. Co-founders Joe Assell and Mike Clinton launched the company in 1995 and have grown it into the largest provider of game improvement in the industry. The first GolfTEC learning center opened on April 10, 1995, in the Denver Tech Center area mall. The original concept from the earliest days remains the company’s core principle: Combining coaches, computers and motion technology to give exceptional fact-based golf instruction that can be measured and verified. Most GolfTEC lessons are taught by Certified Personal Coaches one-on-one in private, indoor bays that maximize the learning experience and utilize proprietary teaching technology to help golfers improve their skills and increase their enjoyment of the game. According to the company, through their 4 million golf lessons, over 80 million golf balls have been hit, 160 million minutes of golf swing video have been captured and 1.92 billion motion measurements have been captured by gSWING, GolfTEC’s proprietary software. GolfTEC Improvement Centers can be found in almost all major U.S. cities, Canada, Japan and Korea. To learn more, visit the GolfTEC website. Premium sports equipment manufacturer Bionic Gloves is offering golfers a chance to win a round of golf with a celebrity in its first-ever “Swing with the Stars” Sweepstakes. The contest is taking place as part of the Eighth Annual Tee It Up Celebrity Golf Classic which will be held October 7 at Mountain Gate Country Club in Los Angeles, California. The event benefits the Wounded Warrior Project and has previously featured celebrity participants such as Kevin Sorbo, Smokey Robinson, Angie Everhart, Joe Mantegna, Kristy Swanson, Cheech Marin and Carlos Mencia. The “Swing With The Stars” Sweepstakes starts now and runs through June 16, 2013. There is no purchase necessary, but participants must be at least 21 years of age and able to produce proof of an official golf handicap. The contest winner and a guest will be flown to Los Angeles for the event. For official rules and prize details, visit the Bionic Gloves website. 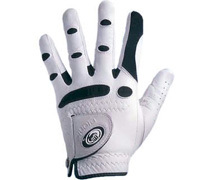 In conjunction with the sweepstakes, Bionic is also offering $5 off StableGrip™ and PerformanceGrip™ Golf Gloves, modifying the price to $19.99 and $24.99, respectively. This promotion will run through June 16, 2013, at retail locations and online. Bionic has been at the forefront of glove technology in many sports – golf, baseball, hockey, fitness (weightlifting), tennis, racquetball, equestrian events and others. Bionic Gloves have received numerous awards and recognition, including the National Home Gardening Club Seal of Approval, the National Health & Wellness Club Seal of Approval, the Handyman’s Club of America Member Tested Seal of Approval and the PGA Tour Partners Magazine Member Tested Seal of Approval. Tiger Woods has used a revitalized short game and putting stroke to claw his way back to the top spot in the world golf rankings. Therefore, it’s appropriate that his Tiger Woods Foundation is launching a new golf teaching mobile app that will focus on chipping, putting and bunker play. Tiger Woods: My Swing will include monthly video lessons focusing on Tiger’s world class short game techniques. His first lesson will cover putting, including ball position, eye line, toe line and stroke line, along with bonus footage from Tiger discussing warm-up routines, preferred golf courses and his favorite sports teams. The focal point of the Tiger Woods app is swing analysis, which will allow golfers to use the technology to capture video of their swing, evaluate it and compare it to Tiger’s. The 14-time major champion serves as a virtual coach, teaching users how to use swing-line analysis while providing tips on specific areas for improvement. The app updates also make the ability to switch between recording left- and right-handed swings easier, adding retina display and iPhone 5 resolutions. The Tiger Woods: My Swing App is available for $4.99 (iPhone and iPod touch) and $9.99 (iPad2+) from the Apple App Store. Proceeds from the sale of Tiger Woods: My Swing benefits the Tiger Woods Foundation, which was founded in 1996 by Tiger Woods and his father, Earl. The Foundation has reached millions of young people by delivering unique experiences and innovative educational opportunities. Specific programs of the Foundation include the Tiger Woods Learning Center, a one-of-a-kind, 35,000-square-foot education facility custom-built for the underserved youth of Southern California. 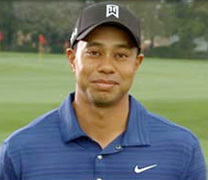 To learn more about the app, visit The Tiger Woods Foundation website. She was the most dominating female golfer of her time and now her legacy will continue through the young stars who follow in her footsteps. Annika Sorenstam won 90 international tournaments as a professional, including 72 official LPGA tournaments and ten major championships. Beginning in 2014, the nation’s most outstanding NCAA Division I women’s golfer will win The ANNIKA Award. The ANNIKA Foundation, in conjunction with the Haskins Commission, have created this award to honor the best of the best in women’s collegiate golf. The Haskins Commission governs the Haskins Award, which is presented annually to the top men’s player in college golf. For 41 years, this coveted trophy has honored the late Fred Haskins, a teaching pro who instilled the values of amateur golf to generations of youthful competitors. The winner of the Haskins Award is decided by a vote of college golfers and media members who cover the collegiate game and the commission will create a similar voting process for The ANNIKA Award. The Haskins Award winner receives an automatic exemption into the Greenbrier Classic and future recipients of The ANNIKA Award will be given an exemption into the Kraft Nabisco Championship, which is a major championship on the LPGA Tour. The ANNIKA Foundation and Golfweek magazine – official media partner of The ANNIKA Award – are also finalizing plans for a major women’s college tournament to be played in Orlando, Fla. Annika, a former college star at the University of Arizona, hopes to attract many of the top college teams in the country starting in 2014. “College golf meant a lot to me and helped get my career going in the right direction. And my Foundation provides playing opportunities globally to juniors who are passionate about the game. Therefore, creating a first-class invitational tournament for the best women’s teams to kick off the college golf season is a natural progression,” said Annika Sorenstam. The biggest video game in golf is back this week as the new Tiger Woods PGA TOUR 14 has returned. Backed by a popular video ad campaign that features Woods, Arnold Palmer and Lee Trevino defending their turf against a group of street thugs, the arrival of this video game is sure to be another spark to fan the white hot anticipation of The Masters. In an effort to tie today’s current stars with the greats of the game and golf’s great tournaments, Tiger Woods PGA TOUR 14 features nine of golf’s legends, Bobby Jones, Sam Snead, Ben Hogan, Arnold Palmer, Gary Player, Jack Nicklaus, Lee Trevino, Seve Ballesteros and Tiger Woods, at historic Open Championship venues such as St Andrews, Royal Troon and Royal Birkdale. Gamers have been able to experience the fairways of Augusta since Tiger Woods 12, but now they can feel the pressure of all four major championships.The new Legends of the Majors mode enables players to go back in time to play the legends at historic events at the Masters, the US Open, the PGA Championship and The Open Championship. EA Sports worked closely with the R&A, which organizes The Open Championship, to help bring the magic of The Open Championship to the game. “The Open Championship is a truly unique event in world sport with a history which dates back more than 150 years. Bringing the spirit of The Open to a wider audience through the Tiger Woods PGA TOUR 14 game is very exciting. This is a wonderful platform and I am sure golf enthusiasts all over the world will relish the opportunity to play against their heroes in The Open,” said Michael Tate, Executive Director – Business Affairs at The R&A. In Tiger Woods PGA TOUR 14, gamers can now play the golf courses at any time of day or evening, including night golf. The Legends of the Majors mode helps turn back the clock with sepia-hued video, plus fours and vintage golf clubs.